Father, Graphic Designer, Creative Thinker, Photographer, Music Composer, Writer, Lyricist. 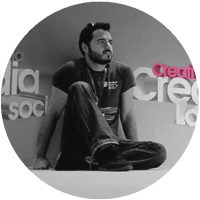 Vasilis Magoulas - aka VAMADESIGN - is an award-winning, multidisciplinary Graphic and Web designer from Greece. Vamadesign is his freelance creative graphic design studio, since 2004. He holds a Diploma of Graphic Design from the Vakalo College of Arts and Design (GR) and a certificated BA (Hons) in Graphic and Web-Multimedia Design from the University of Derby (United Kingdom). After 17 years in the graphic design field, he has a big experience in visual communication, creative and art direction, branding, corporate identity, printing and web design. He has worked in advertising companies, creative studios and as a freelancer for many projects. Vasilis creates minimal and clean, non-template creative solutions with a grid-based approach and care about visual balance. He has taught Graphic and Web design at the Xinis Carierra Business school, since 2009. "I love what I do and I want to see the people who trust me their business and personal life, happy" is what Vasilis mentions after all these years in the graphic design field. His work has been selected and awarded in graphic design contests, participated in exhibitions and published in prestigious magazines and books from publishers all over the world such as Index books, Rockport Publishers, Hightone, Zeixs, Chois Publishing, Marc Praquin, Artpower, SendPoints, Page One Publishing, Creative Review, Fuct Art, Bright Books, David E. Carter, New Graphic, Publi Metro, Lifo, Seecoo Culture Communication, Harper Collins, Marketing Week (U.S.A, France, Germany, UK, Spain, China, Columbia, Greece). Naming, Identity design, Logotype, Symbol-Mark, Stationery (Letterhead, Envelope, Business card), Manual. Poster, Brochure, Advertisement, Flyer, Invitation card, Book, Magazine, Catalog, Cover, Visual Art Illustrated, Exhibition Graphics. Bag, Box, Case, Wrapping paper, Folder. Design and Design Book of the year Vol.8. / Marc Praquin, Sarl. Chois Gallery Vol. 32. / Chois Publishing Inc. Enjoy your Stay. Branding for Hospitality / SendPoints Publishing Co., Ltd.
Touch Branding 3. / Artpower International Publishing Co., Ltd.
Chois Gallery Vol. 31. / Chois Publishing Inc. Logo Talks 3. / Artpower International Publishing Co., Ltd.
Design and Design Book of the year Vol.7. / Marc Praquin, Sarl. Design and Design Book of the year Vol.6. / Index book & Marc Praquin. Logo 3. / Page One Publishing Pte Ltd.
Good Idea Two. / Hightone - IF book Publishing. Logo Design 3. / Zeixs Publishing - Feierabend Unique Books. Design and Design Book of the year Vol.5. / Index book & Marc Praquin. Poster Design 2. / Zeixs Publishing - Feierabend Unique Books. Top 20 Most Popular Design Firms on Facebook. / Profile and studio showcase. Design: Type: A Seductive Collection of Alluring Type Designs. / Rockport Publishers. Creative Review magazine. / Online feed showcase. Bright Ideas in Posters vol.1. / Bright Books / David E. Carter. Bright Ideas in Logos vol.2. / Bright Books / David E. Carter. PubliMetro Columbia newspaper. / Online / Edward Scissorhands movie poster. Design and Design Book of the year Vol.4. / Index book & Marc Praquin. Greeting Cards. / Page One Publishing Pte Ltd.
New Graphic 28 Magazine. / Seecoo Culture Communication Co Ltd.
LIFO / Online Edition - lifo.gr / Social Poster "Papadimos". Best of Greeting Cards. / Zeixs Publishing - Feierabend Unique Books. New Typography 2. / Zeixs Publishing - Feierabend Unique Books. New Big Book of Layouts. / HarperCollins Design. TrendyFreddy Magazine. Issue 7. / Minimalistic Re-Designed Cinematic Posters. Signs, Symbols and Pictograms. / Zeixs Publishing. Feierabend Unique Books. Marketing Week magazine. Issue 1291. / Interview about C.P. Event 2010. Logogala Gallery. / Online / Mini interview and work presentation. SocialDesignSite.com. / Online / Interview about Social design & work presentation. The Big Book of Green Design. / HarperCollins Publishers. Design and Design Awards 2016. Greeting Card Year 2017. Design and Design Awards 2015. Greeting Card Year 2015. QuadAward 2015. Anima Soma Corporate Identity. Best of the best Award. QuadAward 2015. Edward Scissorhands movie poster. Best of the best Award. Design and Design Awards 2014. Greeting Card Year 2014. Design and Design Awards 2013. Deal4kids.gr. Design and Design Awards 2013. Anti-Smoking poster. Design and Design Awards 2013. Earn IQ Logotype. MyDesignAward 2012. Best Graphic Designer. Category: Brand Identity. Gold Award. Design and Design Awards 2012. Dimitra Baptism Invitation. Design and Design Awards 2012. Graphicstein Logotype. Design and Design Awards 2012. Play Logotype. Design and Design Awards 2012. M&Z Wedding invitation. Design and Design Awards 2012. Eco-Posters Campaign. 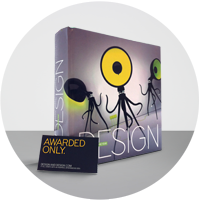 Design and Design Awards 2012. Anima Soma Logotype. Hiiibrand International Logo Design Awards 2011. Finalist & Nomination Award. Play Logotype. Design and Design Awards 2011. Greeting Card Year 2011. Design and Design Awards 2011. Edward Scissorhands movie poster. Hiiibrand International Logo Design Award 2010. Finalist & Nomination Award. Anima Soma Logotype. Design Awards Gallery. Best Freelance/Portfolio Web design Award 2008. Assos Movie Poster Award. "The brides", a movie by Pantelis Voulgaris and Martin Scorseze. 2004. "Graphic Stories Cyprus 2" Event / Sponsor & Contributor / Nicosia, Cyprus / Feb 2016. "7th Behance Portfolio Review Athens" Event / AKTO Art & Design College, Greece / May 2015. "Graphics plus Design". / Creativity Center Hall, UK / June 2013. "Posters for Japan" / Green+You Exhibition / Doosun Inthepaper Gallery, Korea / March 2012. "CP Milenio 2011" Event / Digital Creativity and Social Media / Granada, Spain / Oct 2011. "Help Japan". / Farbwerte Exhibition / Berlin / May 2011. "Hiiibrand 2010: The 4rth Winners Exhibitions" / Anima Soma / Urumqi, China. Mustang Art Gallery. "Hiiibrand 2010: The 3rd Winners Exhibitions" / Anima Soma / Fuzhou, China. Fujian Art Gallery. "Hiiibrand 2010: The 2nd Winners Exhibitions". / Anima Soma / Hongzhou, China. Art Design College. "Hiiibrand 2010: The Winners Exhibitions". / Anima Soma / Nanjing, China. Higher Vocational College. "CP Europe 2010" Event / Digital Creativity area / Madrid Spain / April 2010. "Because of an Act". / “The Mafu Cage” Poster / Vakalo College of Art and Design, Greece / Nov 2009. "Visual Voices: Freedom of Expression Exhibition" / Fordham University New York City / Dec 2009.